Brendon Urie has taken to the Panic! At The Disco blog to write about A Fever You Can't Sweat Out, which was released ten years ago today. Read his full statement below. 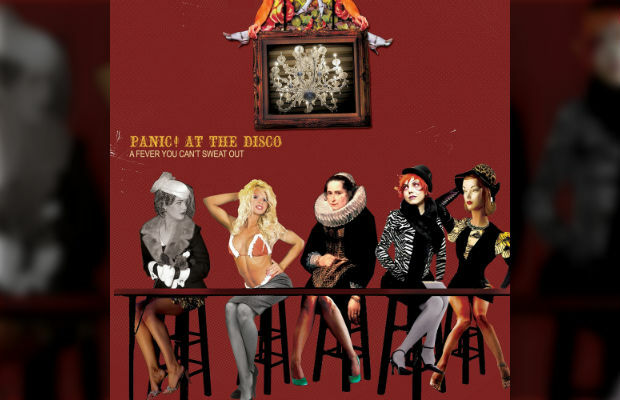 A Fever You Can't Sweat Out, Panic's essential debut LP, was released on September 27, 2005 via Decaydance / Fueled By Ramen. The record was a massive commercial success; spawning five singles, including “The Only Difference Between Martyrdom And Suicide Is Press Coverage” and the top-ten lead single “I Write Sins Not Tragedies,” the record saw Top 40 radio play well into the following year and beyond. Stream the record below via Spotify. I’ve been using Panic! At The Disco as a creative catalyst for over 10 years now. That fact seems so bizarre and yet so fitting. It’s such a part of me that I can’t picture what my life would’ve been like without this amazing journey so far. Making “A Fever You Can’t Sweat Out” was the album of “firsts” for me. First time I played a real part in a band. First time I lived away from home for longer than a few days. First time in a recording studio. First time writing and recording a full album. First time being the singer of a band. Even after 10 years, it doesn’t seem so far away. The memories I associate with that time don’t seem so distant. I remember the bed I slept in. The smell of the instruments in the studio. The anxiety that nearly incapacitated me throughout the recording process. The hole in the apartment wall about the size of my foot. Thinking of it all, I just want to say thank you. Thank you all for letting me do what I do. For letting me take you on this weird, wild trip with me. And so here’s to you and to 10 years of a fever I may never be able to sweat out. And I hope I never do.